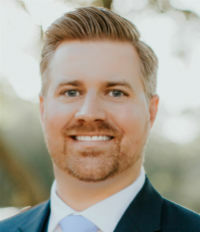 As an integral part of the Acentria team and a member of its agency council, Blake McEachern assists the senior leadership in streamlining processes, improving existing systems, and gathering and providing valuable feedback from a producer’s point of view. Having built a solid book of business at a young age, McEachern has earned the respect of his peers and clients, and is able to effectively mentor the next generation of producers. Outside the office, McEachern volunteers with the Emerald Coast Autism Center and the Children’s Volunteer Health Network.